Open Track at Willow Springs! 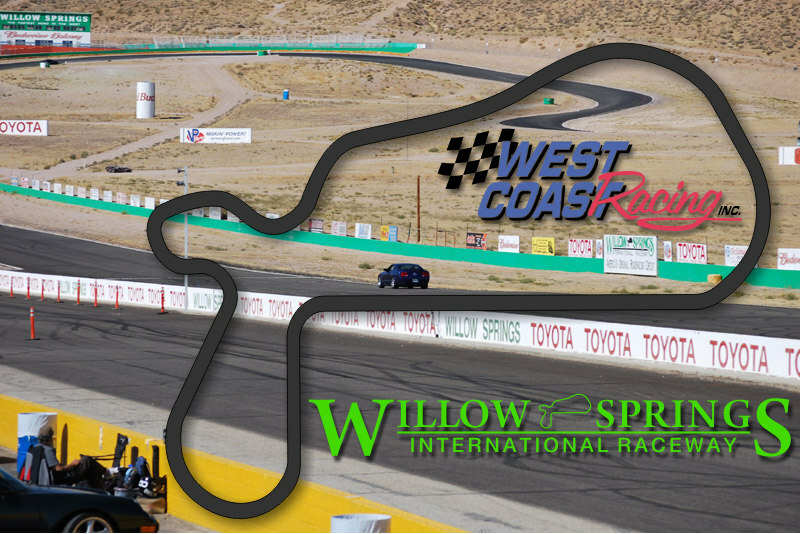 You are invited to attend the Open Track Event at Willow Springs International Raceway in Rosamond, California. This event allows you to run your car at speed on a road-racing course. All makes & models of automobiles are eligible as long as they meet technical Inspection. This event is ideal for the beginner (we furnish instructors), and the more experienced driver who wants to improve his or her driving skills. The first 60 participants to sign up will receive a free T-Shirt and free raffle ticket for the next event. If you have any questions, please contact Jim Saxton at jim@westcoastracinginc.com or 626-285-2515. You may park overnight and stay at the track if you wish. Call the track for the time of Gate closing. Jim and Cherie put on a great event. Dust off the car…change the oil, check the tires and fill er up and get on the track. Ohhhhh yes and the Galpin Ford sponsored BBQ dinner on Sat night…I’ve been to it before…its great! !